← Now You Can “Like” Alive with Clive on Facebook! I recently had the pleasure of interviewing Jeneen Terrana for the third time on Alive with Clive. During this recent interview she performed four songs from her new CD, See The Light. Now that Alive with Clive is truly global, you can see the interview and the songs she sang on This Week on Alive with Clive after you register for free as a Bronze Member of The Alive with Clive Global Community. To register and see Jeneen Terrana’s recent interview on Alive with Clive now, click here. To make your experience of watching the interview more interesting and exciting, I’ve created a contest. To enter the contest, all you have to do is “Like” The Alive with Clive Page on Facebook and listen for the answers to the five question you’ll see on the Web page where you watch the interview. Once you know the answers, type them in the field provided for each answer. After you validate your entry, you’ll be entered. There will be five winners in this contest and each winner who lives in the United States will receive Jeneen’s new CD, See The Light. Any winner who lives outside the United States will receive a link to download the songs. The contest runs from now until 11.59 p.m. Eastern time on Wednesday, March 16. Any entries received after that time will not be valid. The winners will be announced on Thursday, March 17, by no later than 2 p.m. Eastern. To see my latest Press Release announcing this contest, click here. 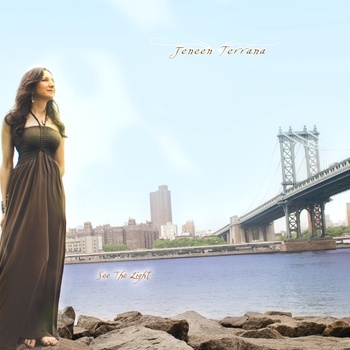 I know you are going to love watching the interview and I hope you win Jeneen’s new CD, See The Light! This entry was posted in Uncategorized and tagged Africa, AIDS, Alive with Clive, Alive with Clive Global Community, Alive with Clive Page on Facebook, Alive with Clive Top 20, Bronze Member, Clive Swersky, HIV, HIV/AIDS, Jeneen Terrana, Like, See The Light, South Africa. Bookmark the permalink.